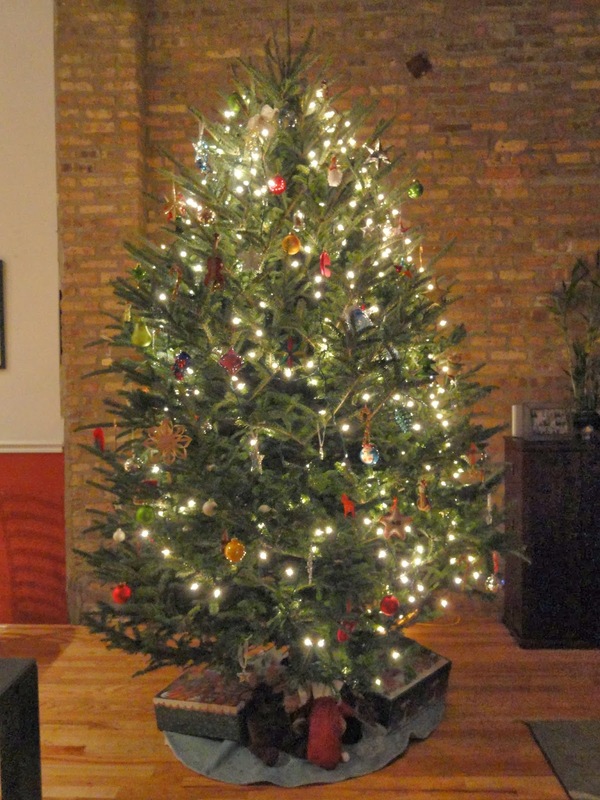 We've spent the past month staring lovingly at our lit up, decorated ten-foot tall Christmas tree. . .while wondering in the back of our minds how the heck we were going to get it out of this apartment. 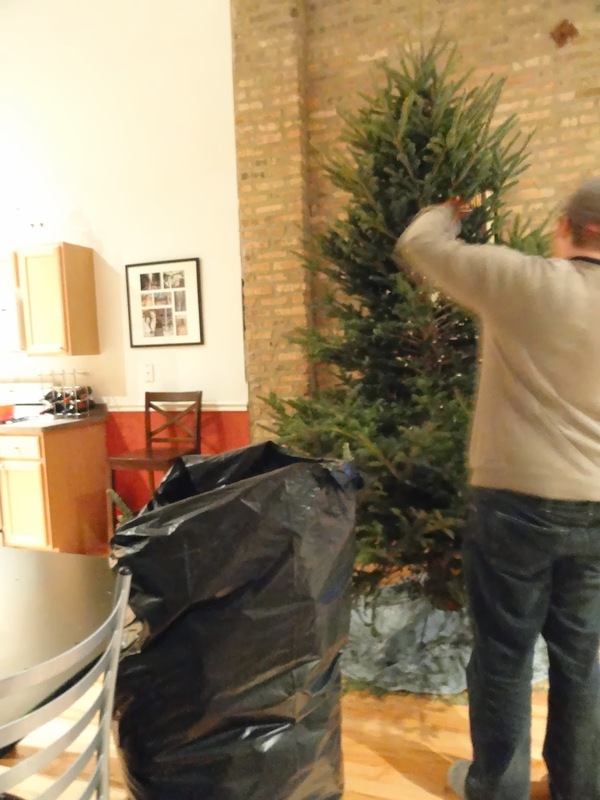 Bob and I decided to get our Dexter on and take this tree out, one piece at a time. 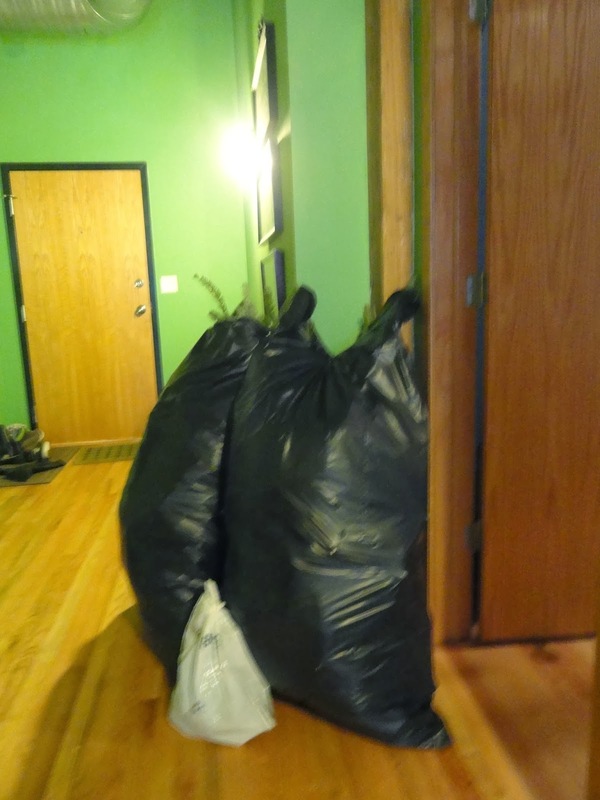 We picked up a box of 42 gallon garbage bags and hedge clippers from our local Ace. 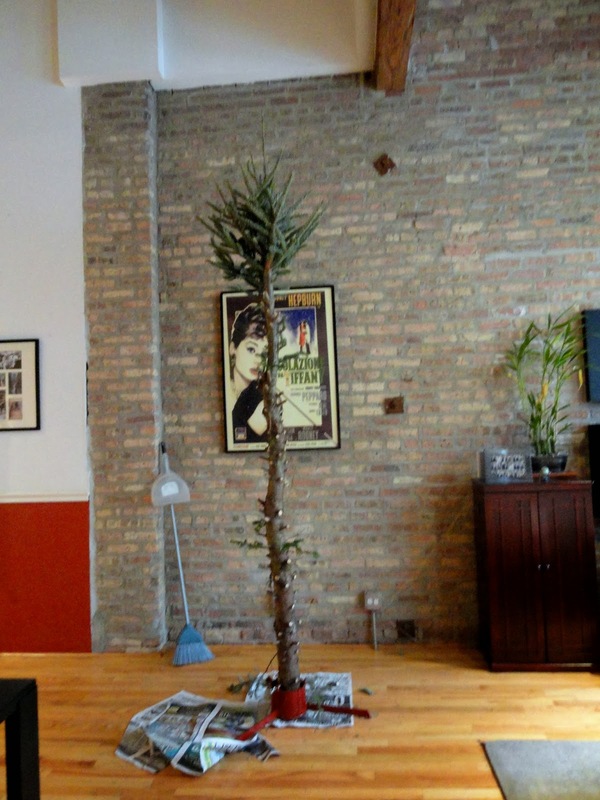 Say goodbye, tree. 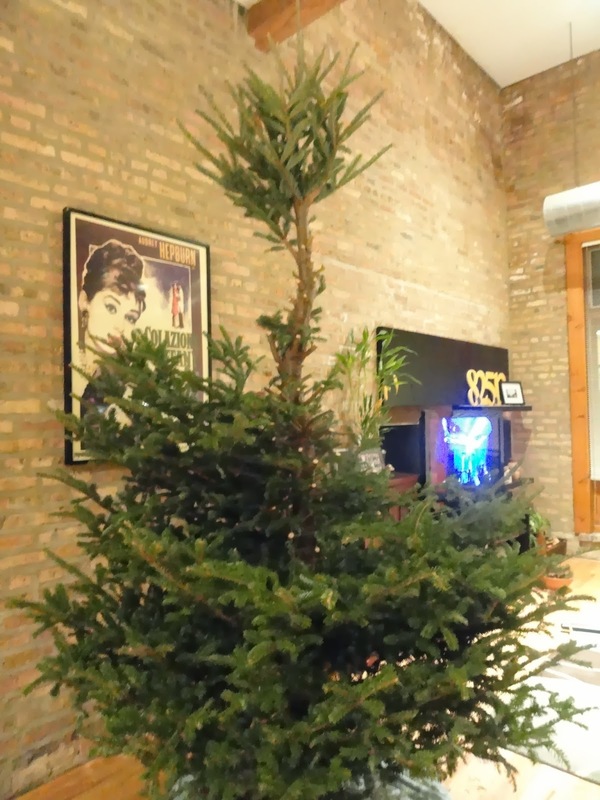 At first, it looked like we just wanted to trim it down to make just enough space to watch TV from the kitchen. And then things got serious. This tree never stood a chance. Bob cut and cut until the thing was more palm than pine tree. We took 2 large bags of branches down to the car and followed with the big stick, wrapped at either end with garbage bags to try and catch the rest of the needles. We were left with a much cleaner trunk this year thanks to this much cleaner trunk. 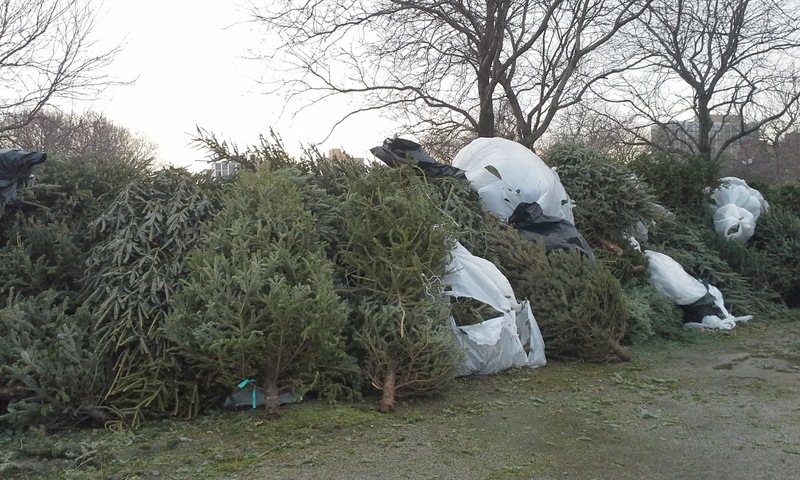 Then we took it out in our boat and dumped it in the ocean drove to the nearest drop off location for recycling Christmas trees. Once ours was added to the heap, we brushed ourselves off, headed home and marveled at how much space we suddenly had in our living area. 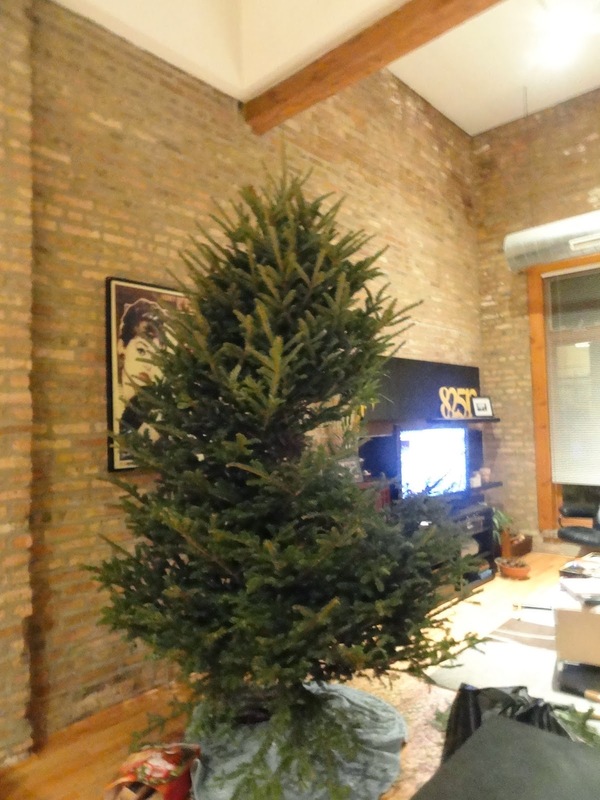 What do you do with your tree once mid-January rolls around? 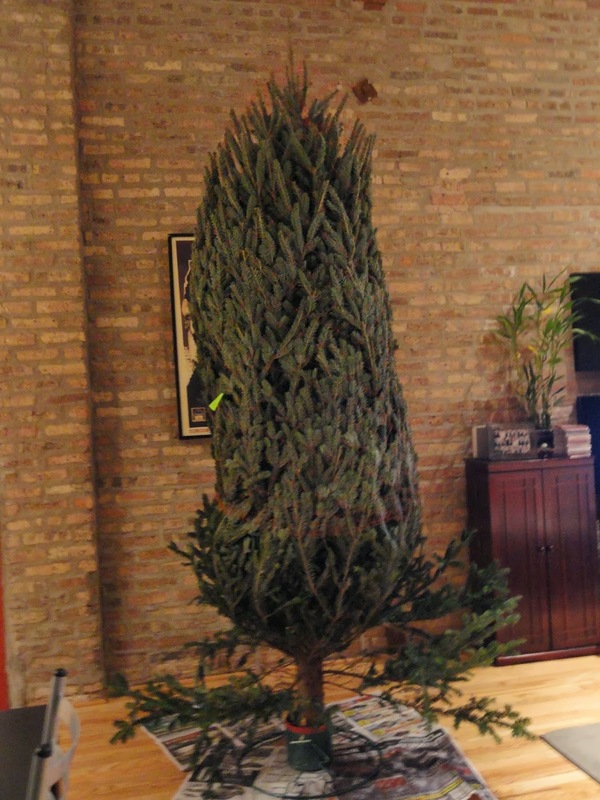 Do you drive it to the Christmas Tree Graveyard, burn it in the backyard, or perhaps sneakily throw it in the back alley dumpster like I did my first few years in Chicago?